Optimist International sponsored only two contests? Yes, it is true, Optimist International sponsors only two contests. Optimist International sponsors the Oratorical Contest that, in the PNW District, is gender neutral. This allows the first place contestant to win a $2,500 scholarship, second place to win a $1,500 scholarship and third place to win a $1,000 scholarship. The winner of this contest advances to the Optimist International Oratorical Regional and World Championship at St. Louis University. Optimist International also sponsors the Communication Contest for the Deaf and Hard of Hearing (CCDHH) where one student who meets Optimist International guidelines for impairment may win a $2,500 scholarship at the district level only. 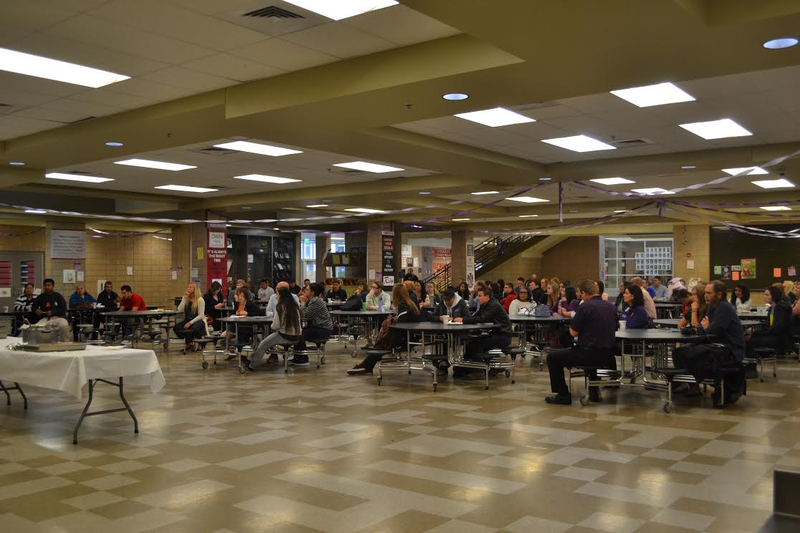 However, the PNW District has also decided, by vote of less than half of its Optimist Clubs, to divide the CCDHH contest into two categories, one for deaf students who sign and one for deaf students who speak. 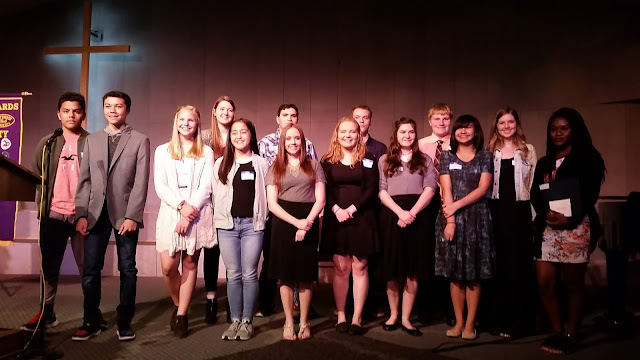 Members and Optimist Clubs in the PNW District contribute to the second $2,500 scholarship over and above the contributions made by the Optimist International Foundation and Canadian Children's Optimist Foundation for scholarship contests. Because the PNW District already asks for extra funding from its Optimist Clubs, I am hesitant to put out another request. However, I've been encouraged by Phil Hansen, Vice President of the Vancouver, BC Optimist Club to share a funding request with other clubs in the PNW District. "We are humbled as we count our blessings as we serve our youth and their families in our communities. But what is our ultimate goal? To bring out the best in everything we all do. If we do not bring out the best in ourselves first we cannot do so for others. "LIVE THE CREED," but that is only the beginning; a small but significantly important list of standards to follow in every setting of our life. We want to give our best, and in so doing we believe that our contestants deserve to be on a level playing field, to perform at their best. Live Feed does not do them justice. We will appreciate the PNW District's financial assistance for May Fan to attend there. Please send information you can provide that will help May Fan, prepare for her travel as soon as possible. May Fan wants to go to St. Louis Missouri where the contest is actually held." You may be aware that Optimist International expanded its Oratorical Contest in 2016 to become a global competition. Initially, it imagined that students might compete remotely via the internet from far away places. In its inaugural year, many did, including the contestant from the PNW District. However, some students traveled to St. Louis to compete in person. It appeared that the students in St. Louis had a decided advantage over the remote participants because they did not have the technical difficulties that came with the new online territory. Additionally, the students gained from meeting one another and experiencing the St. Louis University campus. Therefore, in 2017, its second year, Optimist International encouraged its districts to send contestants to St. Louis to compete. It appears that perhaps the PNW District administration needs some extra encouragement to make this happen. By my estimation, sending one person to the competition would cost approximately $500.00 USD. 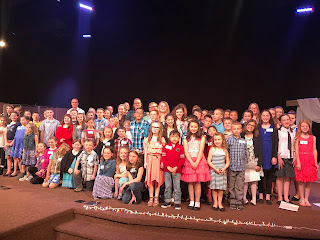 Please join with me in entreating the PNW District to do the right thing and allocate at least $500.00 USD for May Fan, and those who come in the years to follow, to fully compete in the Optimist International Oratorical World Championships. The Optimist Club of Chilliwack, British Columbia has made the finals of the 2017 #ReelOptimism video contest. You can help them win by voting for their 30-second video here. Optimists in Action – Adult – a video (3:00 minutes or less) that visually illustrates the topic of optimism. Submissions by adult Clubs only. Optimists in Action – Youth – a video (3:00 minutes or less) that visually illustrates the topic of optimism. Submissions by Junior Optimist (youth) Clubs only. Make Optimism Go Viral – Adult – a video (45 seconds or less) that visually illustrates the topic of optimism in a humorous way. Submissions by adult Clubs only. Make Optimism Go Viral – Youth – a video (45 seconds or less) that visually illustrates the topic of optimism in a humorous way. Submissions by Junior Optimist Clubs only. Optimism – Public – a video (3:00 minutes or less) that visually illustrates the topic of optimism. Submissions by the public only. Chilliwack Optimists entered in the Make Optimism Go Viral category. Watch the video below or click here to watch and vote. The Oregon City Optimist Club was not the only one to celebrate outstanding youths this week. Three other Optimist Clubs shared pictures with us that we in turn share with you. Sorry, names and stories were not included, but that doesn't make them any less special! 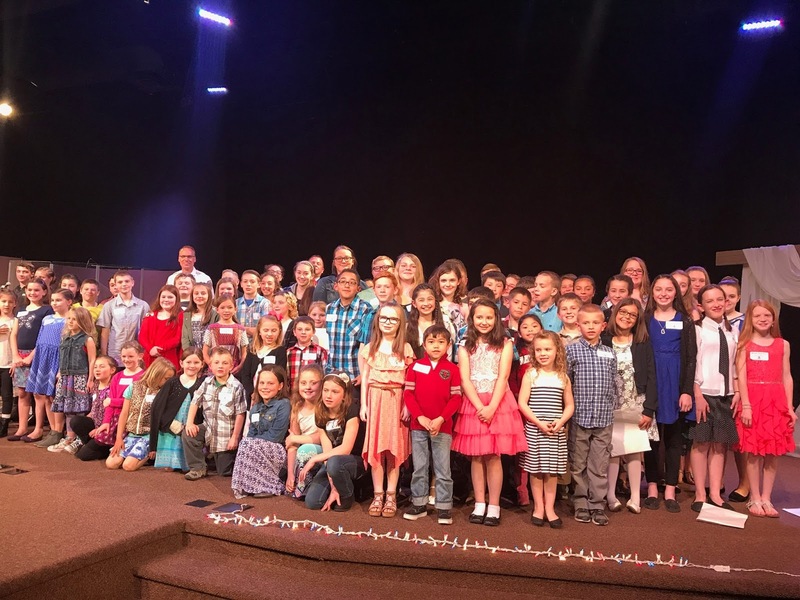 In Hillsboro, Oregon, the Optimist Club recognized students and teachers at its annual youth appreciation event. (right) Their celebration included a Mariachi Band. See more pictures from the Hillsboro Optimist Club event here. In Lebanon, Oregon, the Optimist Club hosted more than sixty students at its its JOYA program. (left) JOYA stands for Junior Optimist Youth Appreciation, but don't be confused; it's not a Junior Optimist Club, but rather students that the Optimist Club recognize for their positive behavior, among other things. I think this may be the biggest celebration that I've seen! 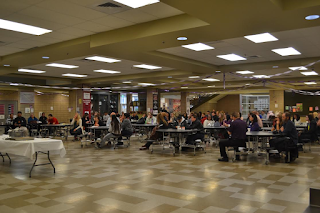 The Twin Falls, Idaho Optimist Club celebrated Youth Appreciation with the Canyon Ridge High School HAWK Award Breakfast. (right) Coordinating with the school, the Optimists recognize students for outstanding knowledge, will power, humanitarian endeavors and activities. The PNW District - Optimist International Oratorical and CCDHH Scholarship Contests were held on May 6, 2017 at the Michael J. Fox Theatre in Burnaby, British Columbia. 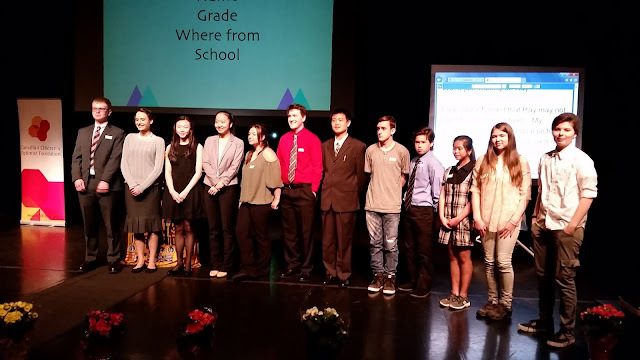 Twelve students advanced to this competition by winning preliminary contests at the local Optimist Club and regional Zone level. All students spoke for four to five minutes on the topic "What the world gains from optimism." We heard that dogs make people happy, chocolate lava cake is the best dessert ever, and womens rights are human rights, among other things. All students were inspired by the topic, and in turn, inspired the viewers who had assembled to watch their performances. "A positive world change starts in a person's backyard." "A world where there is hope in the present is a place where there is hope in the future." Congratulations to all! And thank you to all participants. Well done, everyone. This is a friendly reminder to all Optimist Clubs. 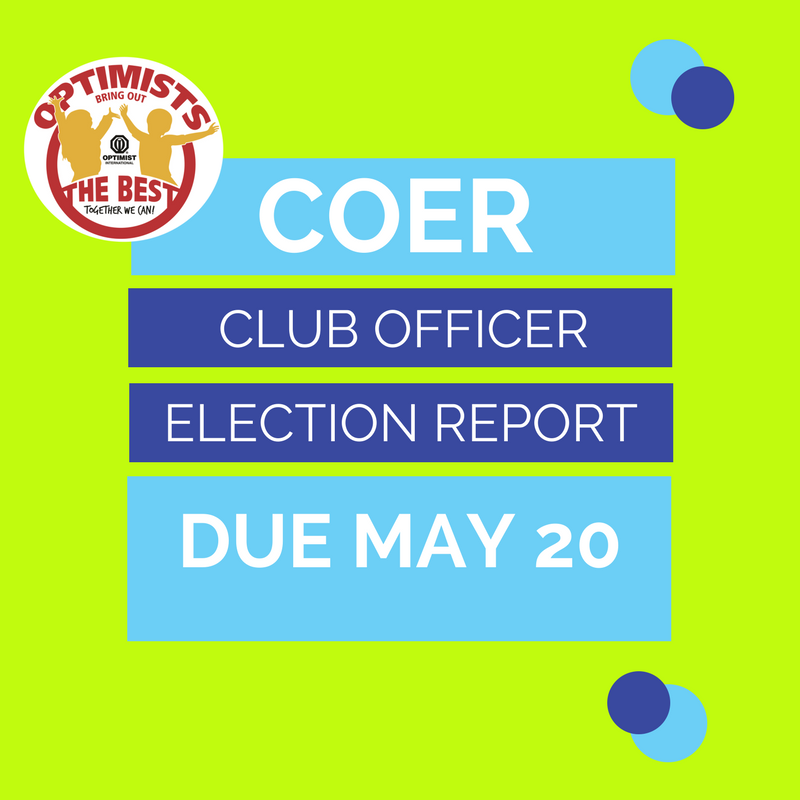 Club officer election reports (COER) are due May 20. This annual deadline has been often overlooked; however, if you're Optimist Club is on the road to Honor Club, this year, for the first in many years, it is required again. I can't speak to the reasoning behind adding the COER back into the mix; but I can speak to why the report is important. The COER indicates good administrative practices and promises that leadership has been engaged for the coming year. 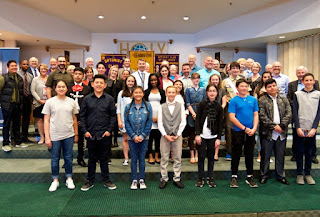 Reporting by May 20 allows Optimist International and the District to begin communicating with new officers in a timely manner so that they may be invited to conventions, receive packages of information that will help them plan for their leadership year, and be included in District and International contact forms and directories. 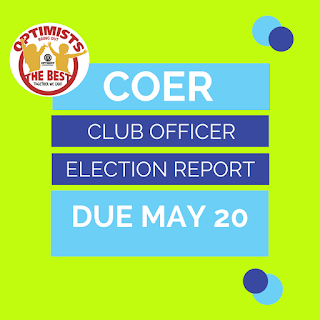 This post is to encourage your Optimist Club to hold its elections and report the results at www.optimistleaders.org on or before May 20. If your elections are held at a later time, please submit the report as soon as possible.